Bayberry Hills was designed by Geoffrey Cornish and Brian Silva. It was built in 1986 and opened in July of 1988. The original bent grass course offers a magnificent 18 holes with water in play. Bayberry boasts 27 holes, the most recent of which is our 9 hole links style course. Come and spend the day with us beginning with our extensive practice areas. 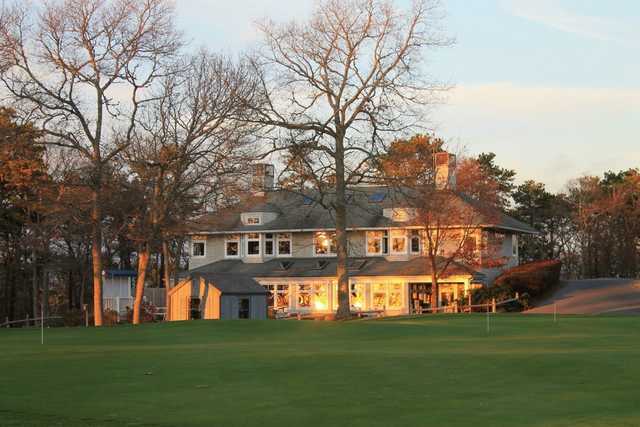 We have a grass driving range, a practice bunker, a chipping green, and the biggest and best putting green on Cape Cod. Once you're all practiced up, enjoy 18 holes on one of our beautifully manicured courses. Follow it up with some delicious refreshments in our full service Grill. Contact us today to plan an amazing day of world class golf!